Apparently tiny houses are the new big thing. But how tiny could that be? How much of it can you actually downsize until it’s too much? 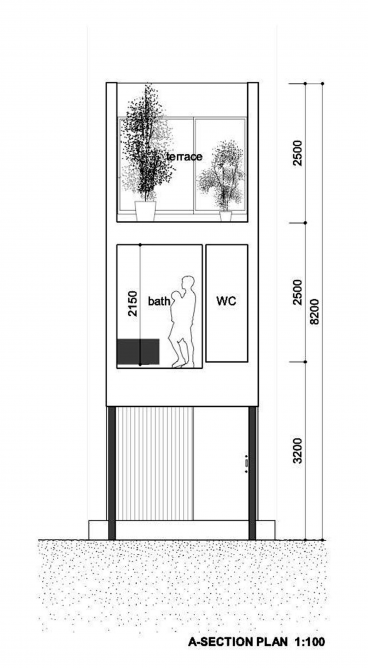 You might think that a house occupying a width of 3 meters (10 ft) would probably be taking things a bit too far, but that’s all the space a small family needs. 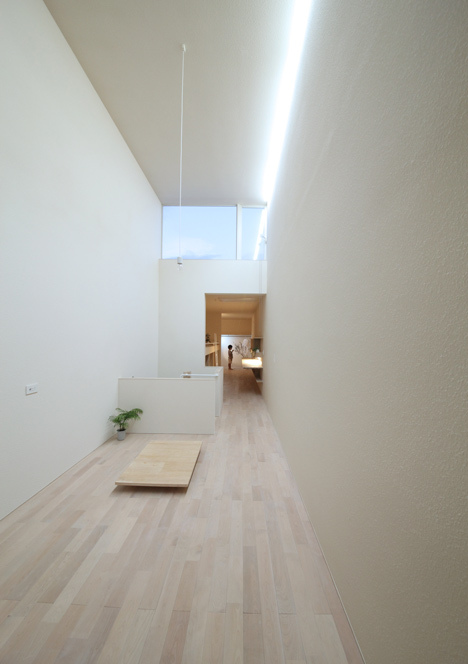 The architectural firm, Katsutoshi Sasaki and Associates, designed the Imai house last year to support this argument. This house is what we all need considering the increasing construction cost and shrinking residential space. 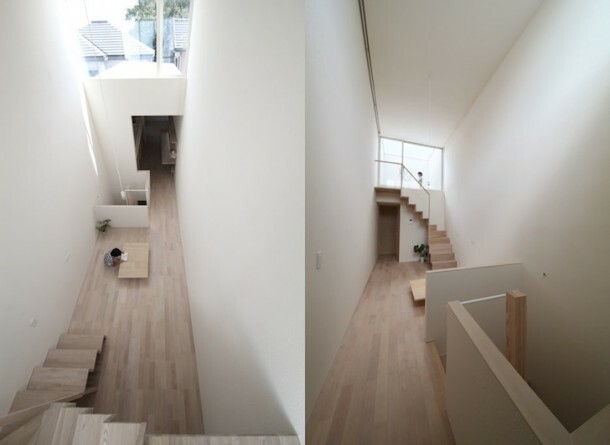 The Imai House is built in the city of Okazaki in Japan, and was completed and erected in the year 2013. The plot covers an area of 3 x 21 m (10 x 68 ft). Imagine a two-story house in that little space, which occupies the entire width, and almost all of length. To make things easier to imagine, the width of the house is approximately equivalent to the length of a regular American family car. The exterior of the Imai House is pretty simple and inexpensive and its front view resembles the Monolith described in the Space Odyssey series by Arthur C. Clarke. That is, if we imagine it in white. 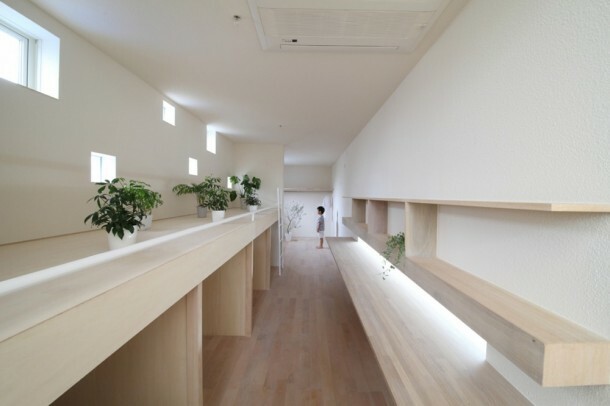 To make the Imai House a success, compromises were made, which includes the fact that the children’s bedroom is only 1.3 m (4.2 ft) high, which means that the child probably wouldn’t even be able to stand up straight in his own room once he grows out of it. 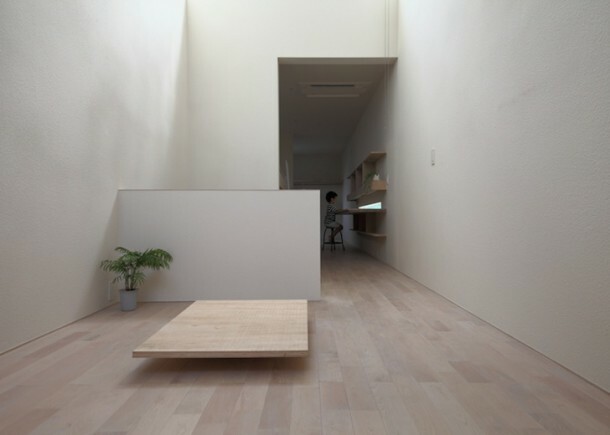 But Katsutoshi Sasaki and Associates managed to design the layout of the interior so as to make the most of the 69 sq m (742 sq ft) of floor space that was available. The house has a small bedroom apart from the extremely tiny children’s bedroom. The rest of the space is covered by a relatively more spacious lounge, dining room and kitchen. The house also features a separate bathroom and even a water closet. The little space that the house has to offer does not exactly allow for a typical garden but to make the place a bit homier, the firm designed a little indoor gardening space and also a rooftop terrace. The house is equipped with sliding door and steps to top things off. 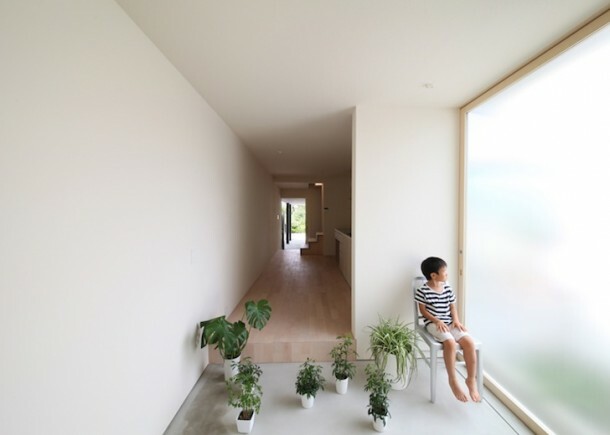 The most significant disadvantage that this house has on daily life is the fact that this surprisingly appealing home lacks proper windows, because the ones that are installed are either too small or placed high up due to limited available space. 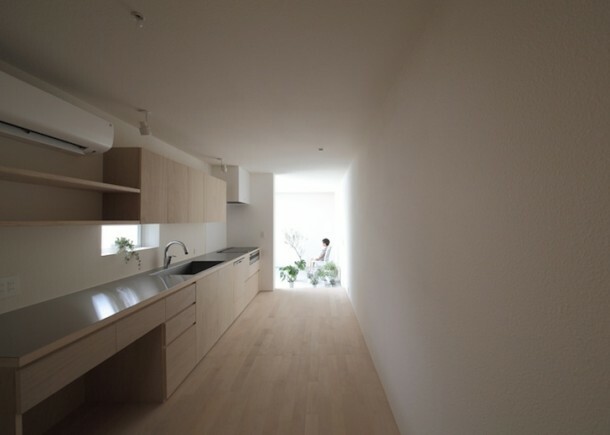 We know for a fact that the Imai house is not really the perfect fit for everyone. But for small families living in a country that suffers from lack of available building space or low construction budgets, the Imai House is probably the solution they are looking for. As I repost, shipping container van would be better . My opinion only. Very impressive. Design is too good.